Mother, Father and Baby John are determined to make a new home for themselves in California. Follow them as they bounce and jounce their way across the vast reaches of the untamed territory of the United States in a covered wagon. 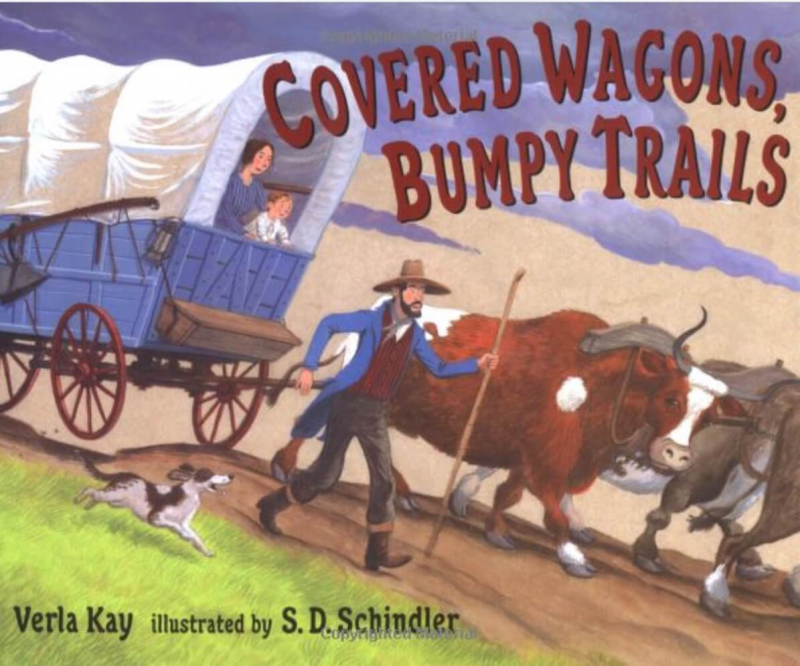 Experience the many difficulties of an overland journey of the 1800&apos;s, as well as some of its more satisfying moments, through Verla Kay&apos;s expressive cryptic rhyme and S.D. Schinder&apos;s delightful illustrations.